How to Store Essential Oils Properly? Majority of the people have got some essential oil or the other at their homes. Besides, you will also come across people who store a wide range of essential oils at the homes. However, storing essential oils requires a little bit of knowledge of the same. Ideally, you should avoid direct contact with the essential oils as they cause irritation to the skin. It is preferred that you use protective glasses and latex gloves. Also, one should avoid using them internally, whereas in case of application to the skin, dilution with a good quality of carrier oils like olive or jojoba oil is required, that too, in a safe ratio. You should store the oil away from light, heat as well as moisture. It is highly preferred that the essential oils shall only be sold and stored in a dark glass containers and you must keep them away from moisture, heat as well as light as the prolonged exposure is more likely to degrade the oil. You must keep the bottles tightly closed when they are not in use and should also avoid touching the inside of the lid when using the oils. These bottles shall be kept away from children’s reach. You can purchase them as blends of various essential oils. The major advantage of opting for a blend of essential oil is that you need not have individual essential oils with you. However, the disadvantage of the blended essential oils is that you don’t have any control over the blend as you are not mixing yourself and you have to rely on what the manufacturer is offering. Even though none of the essential oils does not become rancid, still they can get oxidized and deteriorate so as to lose their beneficial properties with due course of time. The oils like citrus oils are going to oxidize and begin to lose their aroma as well as therapeutic properties in as little as 4-6 months. It is also interesting to note that some of the essential oils like sandalwood and patchouli actually mature with age. After opening the bottle, essential oils become volatile liquids. Deterioration of these oils can occur when they are exposed to air, heat and light etc. The citrus oils are especially vulnerable and have a shelf life anywhere between 6-12 months. The reason why these oils are placed in dark bottles or dark places is to minimize the light sensitivity. Preferably, you must store then in the glass bottles as the oil might react with the plastic of the bottles. As these oils are flammable, you must avoid extreme temperatures. 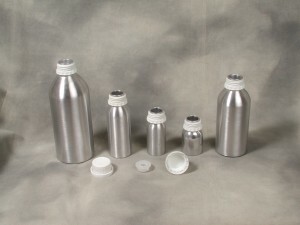 Nowadays, there are a lot of essential oil containers available in the market. You will find them in many attractive designs and colours. If you are running short of options, look for them in various online stores. They are made up of superior quality material and are priced very reasonably.